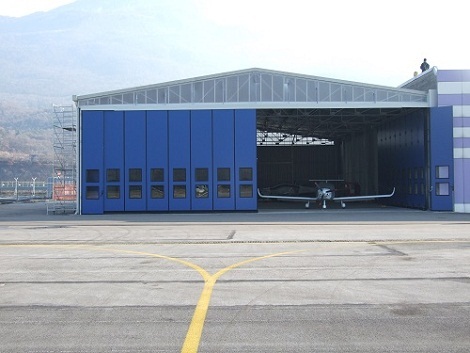 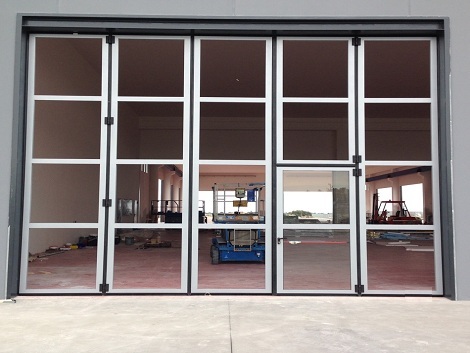 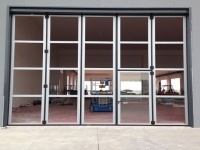 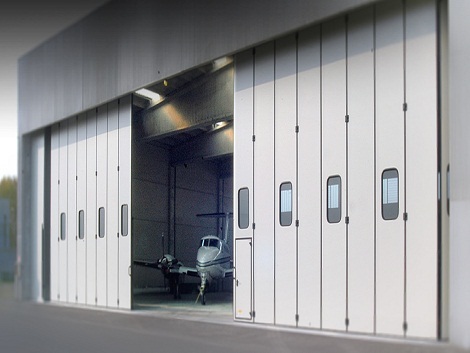 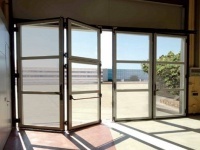 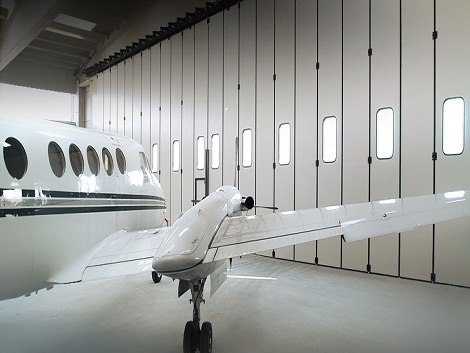 The folding doors are used more and more frequently as industrial closing systems and the technological level achieved in the production of panels and bearing structure makes the manufacture of doors bigger and bigger possible, offering new solutions for important fields like: shipyards and airports. 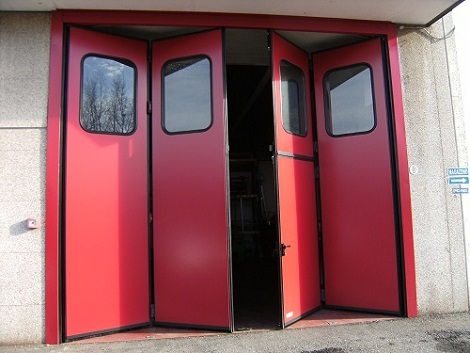 Besides the insertion of portholes, particular windows and ventilation grilles, our folding doors can be equipped with pedestrian doors used for frequentpassages, sparing to open the main door if it is not necessary. 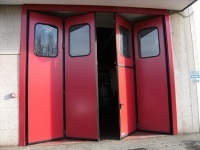 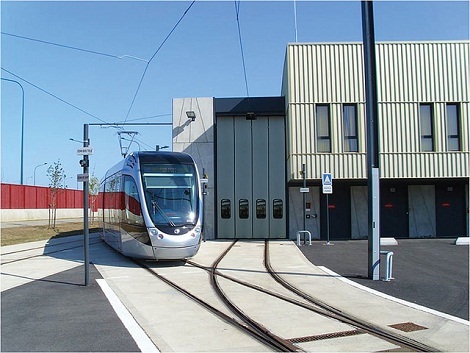 Moreover, they can be manual, motorized or only predisposed for motorization; in the second case the movement is controlled with various automatisms and security systems, on demand: “dead man ” control, remote control, push-button panel, photocells.In case of folding doors of big dimensions it is necessary to install a ground track and to motorize them.